Firearms should be classified based on objective, readily identifiable, criteria that are relevant to their safe use and operation by properly trained and licensed individuals. No firearm should be prohibited. 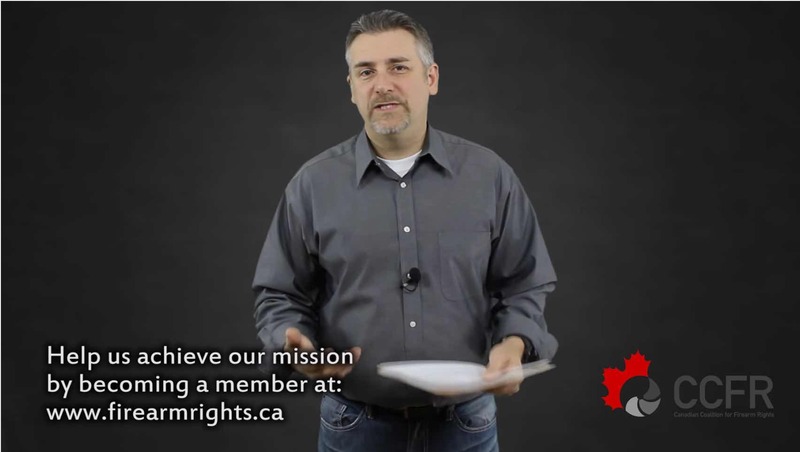 While the CCFR believes that it is people who should be regulated, and not firearms, and that any properly trained and vetted individual can be safe with any firearm, the CCFR does recognize that there are differences between firearms which ought to require additional training to ensure public safety. The training required to safely operate a rifle or shotgun is different from the training required to safely operate a handgun, and the training required to operate a fully-automatic firearm is different still. Class I Firearms (typically rifles and shotguns) would be any firearm that is not fully automatic, that has a barrel length of at least 300 mm, AND an overall length of at least 600 mm. (b) an overall length less than 600 mm. 3. Class III Firearms would be any firearm that is fully automatic. The CCFR does not suggest any additional restrictions based on the class of firearm beyond the level of training required. Any use that is lawful and safe by a licensed user with the proper endorsement for that class of firearm ought to be permitted. This is consistent with the presumption that firearm users and owners are law-abiding and safe.